London, April 6 New British passports are being issued without the words “European Union” (EU) on its cover, despite the delay to Brexit. The new burgundy passports, came into force on March 30, the day the UK was to leave the EU. But some people might still receive the old version until stocks run out, reported BBC News on Saturday. Susan Hindle Barone, who received her new passport on Friday, told the Press Association the design should not change as long as the UK remained member of the EU. “I was just surprised — we’re still members of the EU. I was surprised they’ve made the change when we haven’t left, and it’s a tangible mark of something that I believe to be completely futile. What do we gain by leaving? There’s certainly a whole lot we lose,” she said. The change in the UK passport design has proved a rallying point for Brexit supporters, with former UK Independence Party leader Nigel Farage describing the 2017 decision to bring back the dark blue design as “Brexmas”. The decision to remove the “European Union” label was made in the expectation that the UK would leave the EU at the end of March, as scheduled. 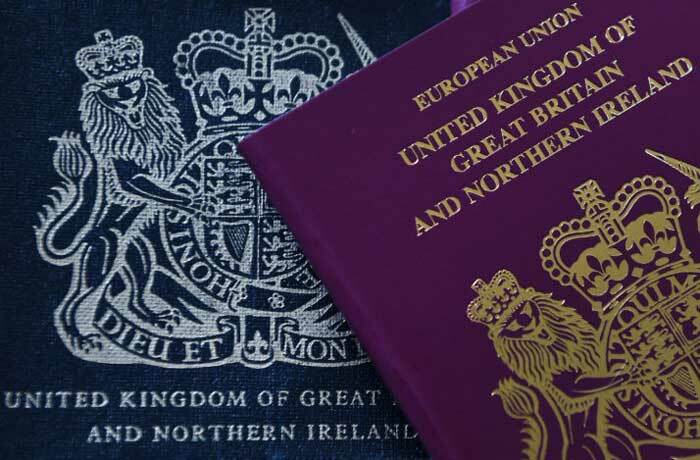 A Home Office spokeswoman said “in order to use leftover stock and achieve best value to the taxpayer”, passports that include the words “European Union” will continue to be issued for “a short period”.